I’m not sure how serious Sedaris is being–I mean, 25 miles is a long walk, particularly if you are carrying a heavy plastic garbage bag along with you–but his piece in the current issue of The New Yorker is pretty funny, as Sedaris’s writing usually is. Last night, Christine and I walked to a nearby movie theatre, where we saw The Railway Man. It’s a good film about revenge and forgiveness, which is almost unbelievably based on a true story. The walk wasn’t a long one–maybe 6 kilometres there and back–but I was wearing new shoes that threw off my stride just enough that I woke up this morning with a strained hamstring in my left leg. That made our training walk today rather painful for the first couple of hours, and I was careful to stretch whenever I paused to let Christine catch up with me since, for some reason, we weren’t walking at the same speed, as we usually are. Eventually the problem resolved itself. Today’s walk was a little over 18 kilometres, which isn’t all that long–I’ve walked twice that far in a day. I was carrying a full pack for the first time, though, and it’s been unusually humid here, so I’m ready for a cold beer now. There were a lot of people on the creekside path: cycling, running, and inline skating. There weren’t many walkers, though, and we were the only people who looked like they were out for a hike. A young woman stopped us and asked what we were training for. “The Cotswold Way, in England,” I said. We explained that it’s a 100 mile walk and we’re doing it over nine days at the beginning of August. “That’s really interesting,” she answered. “I love hiking but all my friends here think I’m crazy.” That’s the response I got from a lot of people when they learned that I had walked the Camino Francés. “Are you crazy?” I think it’s something about this city, about the flat topography and the fact that, for most people, hiking is something that you do in the mountains, which are a long way from here. Speaking of flowers, I was surprised by the number of native plants I saw beside the creek today: Canada anemones and milk vetches and wild roses. There are, unfortunately, almost no native plants left on “Prairie Island,” where a prairie restoration project has turned into a patch of weeds. Only the wild roses and the wild blue flax are left. As I’ve learned, it’s almost impossible to restore land to prairie, particularly in a city: the weeds are just too aggressive. It makes protecting the remnant grasslands in this province even more important. There’s an interview with naturalist Trevor Herriot about his new book, The Road Is How, here, in today’s Globe and Mail. I read The Road Is How this spring and it’s one of the books I wanted to talk about in this blog. Trevor has been an advocate for continued public ownership of community pastures in this province, since they represent one of the most important areas of unplowed prairie left here. I hope that campaign is successful; it would be a tremendous shame if they are lost. This is not a book. Instead, it’s a pretty amazing time-lapse video that captures the adventures of a man who walked for an entire year, covering some 4,500 km from Beijing to Urumqi in China. Last fall, I walked the Camino Francés from Saint Jean Pied de Port, France, to Santiago de Compostela, Spain, and then on to Finisterre (the “End of the Earth” to the Romans, who believed it was the farthest west you could go in Europe) and the fishing village of Muxía on the Atlantic coast. Since I returned home, I’ve been thinking and reading about walking–something that almost everyone can do but that, aside from walking across parking lots to our cars, something that most of us don’t bother to do–and the way something so simple can, at least potentially, transform us. Christine and I are planning to walk the Cotswold Way in August–that’s a 100-mile path through the Cotswold Hills between Oxford and Bristol in England, beginning in a village called Chipping Campden and ending in the city of Bath–and, inspired by my friend Geoff Travers’s blogs of his walks on two Spanish Caminos (the Camino Francés in September and October of 2013, where we met, and the Via de la Plata from Seville to Santiago de Compostela in May and June of this year)–I was thinking of writing a small blog about our trip. Nothing fancy, just what we did and where we went and maybe even what we ate, with a few photographs. I might as well make use of the iPad I got for Christmas. 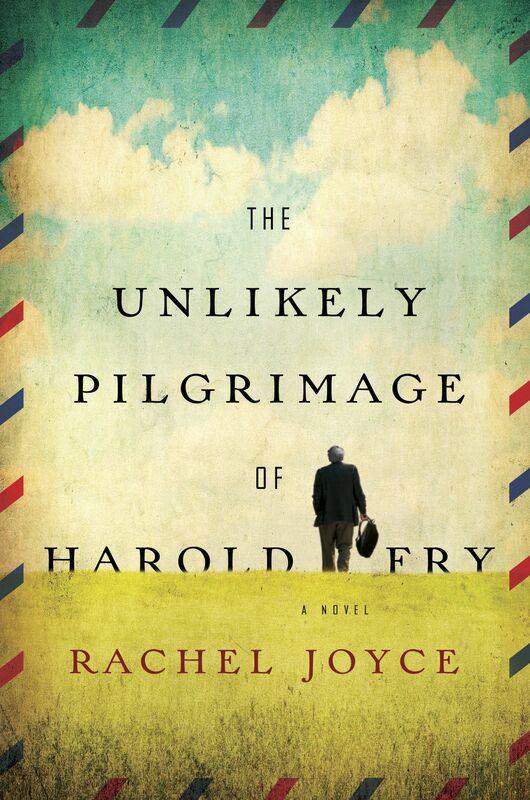 But yesterday I read–devoured, really–Rachel Joyce’s The Unlikely Pilgrimage of Harold Fry and decided to start blogging now, instead of waiting until August. Harold’s pilgrimage reminded me of the story about the German film director Werner Herzog walking from Munich to Paris after he learned that his friend, film historian Lotte Eisner, was gravely ill. If he walked, he apparently thought, she wouldn’t die until after he arrived. (Herzog’s journal of the walk was published as Of Walking in Ice in 1978; it’s one of the books about walking that I’d like to read and possibly write about in this blog. A review, published in the Canadian art magazine Border Crossings, of the English translation is available here.) The difference, I suppose, is that Harold’s friend Queenie really is dying, while Herzog discovered that while Eisner was ill, she wasn’t at death’s door. Some people will find The Unlikely Pilgrimage of Harold Fry somewhat sentimental, and there’s no doubt that it’s a “feel good” book with a predictably happy ending, but I enjoyed reading about Harold’s adventures. What I particularly liked was the way that Joyce understands how such a walk can change you. At the end of the book Harold is fit and tanned (and exhausted and filthy), but walking isn’t just about exercise or burning calories or spending time in fresh air. Walking gives you time to think about your life, about your past and your future, and there’s something about its rhythm helps you come up with solutions–potential ones, anyway–for problems. I experienced that on the Camino, and Harold experiences something similar on his pilgrimage. His life changes in a much more fundamental way than mine did, but this is fiction, after all. Harold’s pilgrimage gives him a chance to confront the traumas he’s experienced in the past. Compared to the emotionally withdrawn and, frankly, haunted man who starts walking that summer day, by the end of his walk Harold has become someone completely different. But Harold’s walk doesn’t only affect him. His pilgrimage also has an effect on Maureen, and as a result it brings their marriage back to life. I don’t want to say anything more about The Unlikely Pilgrimage of Harold Fry because I don’t want to spoil it for anyone. If you haven’t read it, you’re in for a treat.